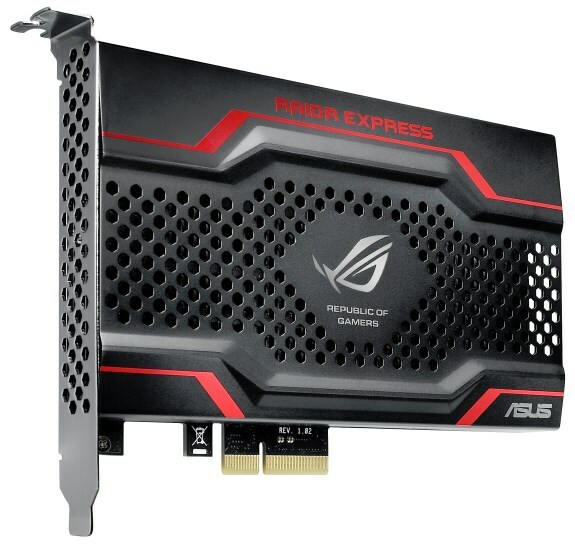 ASUS enters into the SSD market with the ROG RAIDR Express, a high-end PCI Express SSD. Unfortunately, all we have is a picture. There are no details about the performance, price, nor availability. True to the ROG ‘Choice of champions’ creed, RAIDR Express is an advance look at an innovative new solid-state storage device for gamers seeking the ultimate in desktop PC performance. ROG RAIDR Express delivers significantly faster data transfer speeds and game loading times than SATA-based SSD storage, thanks to the greater bandwidth of its PCI Express interface. ROG RAIDR Express maintains full compatibility with all major chipsets and operating systems, and can be used as a bootable drive for accelerated PC performance across the board.